Memphians earn points and prizes for shopping at locally businesses. For some, the support of small mom-and-pop businesses is enough motivation to shop local. But if you need a little more incentive to avoid big-box stores, a new program with the Memphis Grizzlies may help. 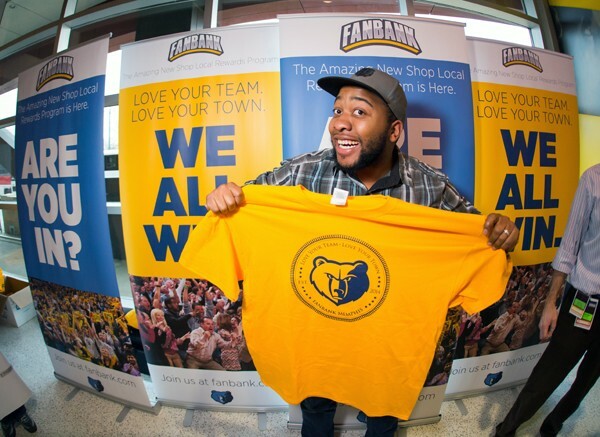 The start-up company FanBank has partnered with the Grizzlies to reward those who shop locally. Here's how it works: Sign up at fanbank.com, spend money at any of the FanBank-affiliated businesses, rack up points called FanCoins, and receive prizes with those points. The program is set to launch when the NBA season starts again, but the FanBank Challenge begins on June 20th. 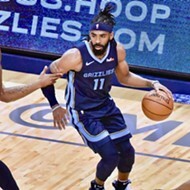 Through the challenge, if Memphians spend $5 or more at one of five participating businesses, they will be entered to win Grizzlies tickets, autographed merchandise, a luxury suite at FedExForum for 15 people, or courtside seats. The program is free to enter for anyone with a credit card. "It's the same mechanism that [credit card rewards] use, so no one is going to see your personal information," said Lauren Lee, a former FOX13 news reporter who is now working with FanBank. The businesses teamed with the program include coffee houses, restaurants, theaters, and shops. Participating businesses include Central BBQ, Young Avenue Deli, Oak Hall, Superlo Foods, Pyro's Fire Fresh Pizza, Kooky Canuck, Gould's Day Spa, among others. "There are already thousands of people signed up," Lee said. "The reaction is always, 'I go to these places anyway, and it's free, so what's the catch?' And there is none. It's all the best places in Memphis." The slogan for the program is "everybody wins," and Lee said that's not just for those enrolled. "The customer wins because they shop at these great places and get rewards for it," Lee said. "The business wins because we want to be a partner and really help them grow their business. The Grizzlies win because they become a partner with all these businesses, and it's another way to connect with the fans." Since FanBank is so new, the program is still branching out of the core Memphis area. "We want to make sure we're really a part of the neighborhood," Lee said. "Right now, it's only really downtown, Midtown, parts of East Memphis, and a little bit in the suburbs, but we want to make sure that all neighborhoods are represented." Mitch Jacobs, an entrepreneur based in Los Angeles, came up with the idea to give small businesses an advantage over big-box stores. He chose Memphis to start. 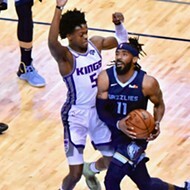 "He was looking for a city to launch the program and came across Memphis, which happened to be a perfect fit," Lee said. "He was looking for a city that has a lot of loyalty to its locally owned businesses, where communities had really specific identities and loyalty to [their neighborhoods]. Another aspect was people that were loyal to their sports teams. 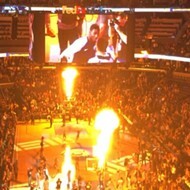 Obviously, people love the Grizzlies."